The SAAC-44 web site will be open soon. Online Registration should be ready by end of February. 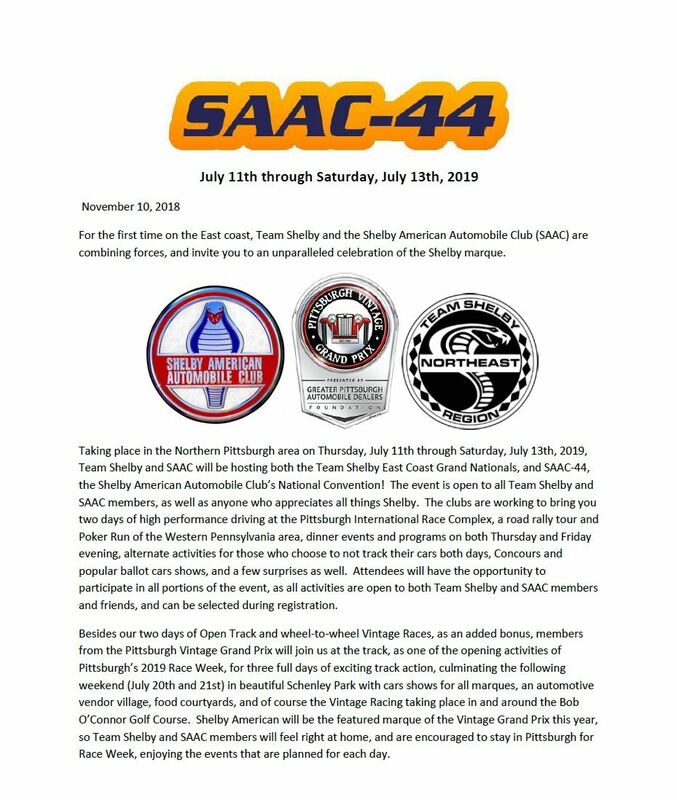 SAAC-43 was held at Sonoma Raceway in August of 2018. This event was all-Shelby, all the time… in conjunction with the NorCal SAAC region and Team Shelby. An Event you should not have missed…. 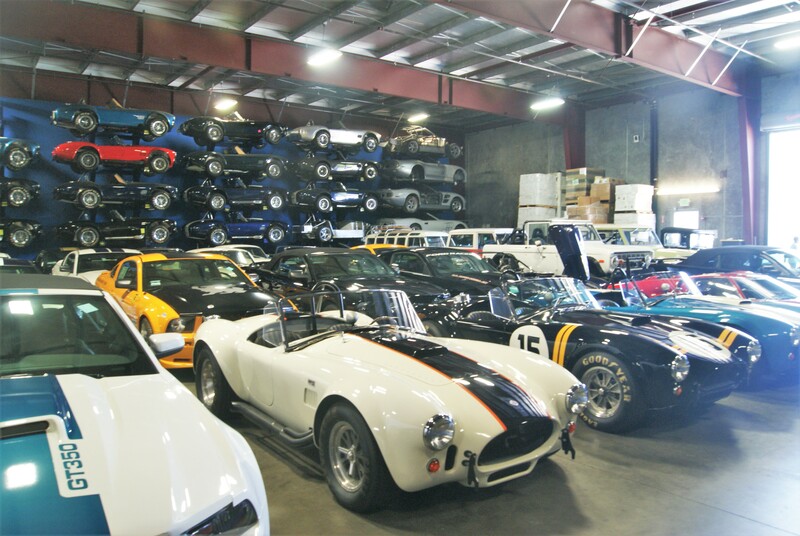 HOW ABOUT A WALL OF COBRAS? A full three days of track activity…with Open Track, Parade Laps, Vintage and TransAm feature races…along with an afternoon of Drag Racing. Some of the best cars around were there for the Car Show, as well as SAAC’s World-Class Concours Judging. Social events included Friday Evening get-together and Saturday Evening Dinner and Program. You didn’t hear it from me, but SAAC44 is rumored to be at BeaveRun in PA. Early July, 2019. Night at the Museum was the place to be. 2017 is the 50th anniversary for the 1967 Shelby, and dozens showed up. Of course there was track time. Not the Indy 500, but a chance to dream. And a good number of Cobras.